We had been to Savino's before and honestly, I wasn't impressed. 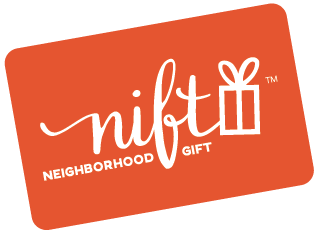 We went back because of the Nift Gift and the food was REALLY GOOD! I don't know if there's a new chef, but the menu seems different and I was pleasantly surprised to find that we liked it a lot! Thanks! The food was really great and the staff was so helpful. I have numerous dietary restrictions and they were able to work with it! Wow, best chicken dish I’ve ever consumed. Period. Food was excellent and the service was great. I'd definitely go back. Sweet service, great food. Very much a treat! Very pleasant surprise! We'd never been to Savino's before. The service was excellent, friendly and helpful, and the food was well excecuted. Will definitely return. Great atmosphere, and a full bar. The food was very good. Great food, friendly service. We happened to go on a night they were short staffed and in the weeds but they didn’t sacrifice quality of the meal for simply getting it out to the table. We loved it Savino’s, I will definitely go back there again. We’re so excited to have discovered this new restaurant. AS I WROTE BEFORE,WE LOVED IT. Savino's is always great! The food is the best around. The staff is friendly and knowledgeable. The atmosphere is great. This is one of the best restaurants in our area. Delicious! Good food, good service. Gorgeous decor, lovely service, and amazingly tasty, beautifully plated food! A real hidden gem. Have brought a number of friends and family members here, and not a single one has ever been anything less than thrilled with the food they ordered. Keep up the great work! Savino's was a lovely dining experience, with waitstaff who were very helpful in finding vegetarian choices. Delicious and very filling soft-shell crab appetizer as dinner. Yum. Great virgin mary. Cleared my sinuses. Chef often comes out to talk. Very cool. Great food and great service. Great place for a fancy night out. Good was fresh with simple ingredients and delicious! It was really great to use 25$ discount in the Savinos. I love Nift, but the prices in Savinos a little bit expensive. Good place, wish it had better parking. It was a lovely restaurant, the food was delicious and the service was really good. This is a neighborhood gem -- an upscale but not snobby Mediterranean restaurant near Belmont's Cushing Square. My husband and I both ordered seafood dishes and they were both fresh and delicious. Dessert was a towering chocolate mousse cake. The server was attentive and did a great job of describing the specials and making recommendations. We would definitely love to come back. Food was amazing, Larissa was a really wonderful waitress, great experience there. Our dinner at Savino's in Belmont was lovely in every way. I've only been there twice before, and it's been well over a year since the last time. I was so grateful for this motivation to go again--no idea why I don't go more often! The service was stellar, food was delectable, and the atmosphere was beautiful and cozy, with soft light, candles, and pleasing, modern decor. I especially enjoyed suggestions and descriptions from the maitre d', who helped us feel well-cared for! Great service! Welcoming staff! Excellent food! Excellent service! Each dish was delicious and full of beautiful flavor. The desserts were excellent. Outstanding even. Meal and appetizers were fine, no complaints. Service was very good with the exception that I had to ask for both my soup spoon with the appetizer and a steak knife for my pork chop. We enjoyed our meal, but the staff was way overstretched and it took two and a half hours from sitting down to paying our check. Our wait person did what she could and was professional and friendly, offering us a free drink (which we declined since we'd already had one). It was a Saturday night, and our reservations were at 7PM. Apparently they also had a lot of walk-ins so were busier than expected. I would go back, but not at that time or on a busy weekend eve. Nice ambiance; tasty food. It was a fun date night out! The meal was fabulous: perfectly cooked fish; wonderful vegetables; the best. Highly recommend. Delicious dinner, we loved it! Food was delicious. Excellent wine pairing as well. We had a great dinner at Savino's and will be returning! Savinos not only stands out for its delicious and comforting food, but also for its incredible customer service. From the moment we walked through the door until the moment we headed out, we were treated like family. This was my husband’s and my first visit to Savinos, but it will not be our last. What a great find! The food was pretty good. My food was delicious, but I wanted a little more salt, and my husband's food was good, but also, mostly just OK. I had the monkfish and scallops and my husband had the veal chop. The wait service and food service was perfect. Food was excellent and loved the ambiance of this restaurant ... two big thumbs up! Tasteful decor, nice lighting, linen table cloths, quiet jazz in the background. Food was excellent, with fresh ingredients and attractive presentation. Good wine selection. Service equally good. All fairly priced, not too expensive considering the very pleasant upscale experience. Delicious food, a nice environment, and great service. Wonderful menu & delicious food. Savino's is great. It seems to draw an older crowd (my senior parents are regular diners), but I frankly don't understand that. The food is excellent, the service is friendly, and the atmosphere is pleasant. It easily stands up to any of the trendy restaurants my husband and I have tried, most of which promise more than they deliver or are good but overpriced. Savino's is a gem. Good restaurant, though a bit pricey. Fish didn't seem as fresh as it could be, but polenta was other-worldly and mushroom soup of the day just unique and incredibly flavorful. The tapas were fantastic--perfect for sharing and very tasty! We had an enjoyable dinner. It's a good neighborhood restaurant. We went for drinks - the bartender came to our table to personally take our order. He was lovely, and the cocktails were great! Food was great! Will definitely come back. Excellent dining experience. Fresh, savory, beautifully prepared entrees, great wine list. Nice atmosphere with helpful service. Lovely dinner out! Dinner was delicious and the service was excellent! Savinos has absolutely delicious food and an amazing atmosphere- one of my favorite places to eat!!! The food, service and decor/cleanliness of the restaurant was fantastic. Dinner at Savino's was wonderful! Good service, good food, and the wait staff was very accommodating. A "5" recomendation for anyone. Beautiful restaurant, love the food. It was a nice atmosphere but a little pricey. It is a very special restaurant . Surprisingly good food. We moved to Belmont a year ago, an had heard it was good, but never tried prior to Nift. So glad we went -- it was excellent! Delicious food. Liked that the chef came to our table to say hi after our meal.